New York’s semi-annual independent home and gift show returns next month with a curated roster of 200+ visionary brands and makers in an elevated boutique setting. This season brings twice the lines and twice the space, with two locations conveniently accessed by a fleet of Shoppe Shuttles. 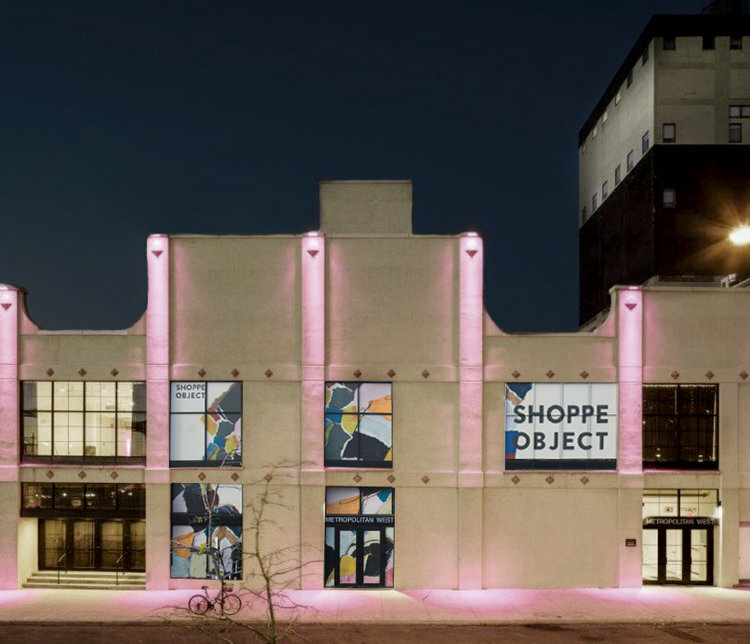 SHOPPE OBJECT is the ultimate resource for premier merchants and influential editors created by Aesthetic Movement and the founders of the apparel tradeshow Capsule, and born of a vanguard spirit to celebrate and service the progressive retail and design community. SHOPPE OBJECT = The New Show For New York. Come see what all the buzz is about! New York CityJust one block east of the main entrance to the Javits Center, one block from the Hudson Yards subway station, and a quick ten blocks south of North Shoppe at Metropolitan West – this bright and open space means two additional floors of comfortable and convenient expansion for SHOPPE OBJECT. Abacus Row, Alterra Pure, Artbook D.A.P., Austin Press, Bryar Wolf, Chilewich, Dassie Artisan, Djeco, Ekobo, Fishs Eddy, The Floral Society, Fredericks & Mae, Graphic Image X A/M, Heaven In Earth, Injiri, Izola, Marisa Mason, Martyn Thompson, MINNA, MoMA, New York Stoneware, Noat, Odeme, P&T - Paper & Tea, Pointed Leaf Press, Pure Living, Set Editions, Sibilia, Siren Song, Sir|Madam, Third Drawer Down, Way of Will, Wms & Co.
A dual-city fine art collaborative of sisters Laura Naples and Kristen Giorgi, NG Collective are the selected artists for our second season. Giorgi’s Kollected TEN and Naples’ Loose II were chosen for their combined representation of the creative spirit and vitality of the Shoppe Object community. Naples and Giorgi work independently from their home studios, each informing the other in an ongoing dialogue. Their individual work draws upon observations of how the other is leaning in thought and process, illuminating the moments when their perspectives differ and the moments when they collide.